I returned home to find that someone had taken my American Flag from our yard. At the time, America was still in shock about 9/11 and to this day, I can't believe somebody could be so bold and crazy as to stroll into my "space" and snag my flag. I was angry and frustrated but soon found an incredible outlet for my negative energy. I had written an angry op-ed piece about the Flag incident in our Idaho "small town" newspaper www.messenger-index.com (I still check in now and then). I came across an article about a local guy named Jim Olson who happened to be launching a project to build a permanent Memorial to 9/11 and ALL of our fallen American Heroes, past and present. 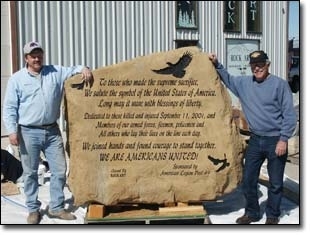 The project would include a beautiful engraved monument and an ENORMOUS American Flag. In conjunction with American Legion Post 49, Jim set out to raise community awareness (and funding) for the project. 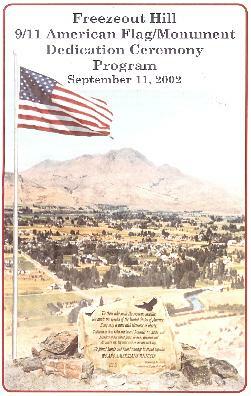 I called Jim and soon joined Post 49 AND the "Flag" project. 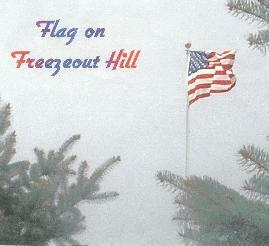 I created and sold a "Special Edition'" Flag On Freezeout Hill CD to raise funds. I probably gave away more CDs than I sold and my contribution was small compared to the efforts of Jim and the entire Emmett community. The end result was a resounding success! 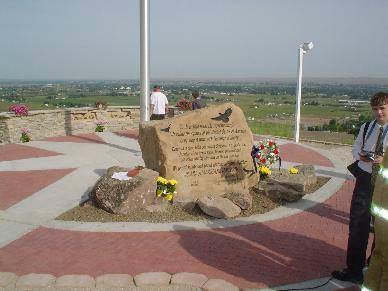 The Memorial overlooks the valley as a constant reminder of what America sacrificed on 9/11 and proudly serves as the official Idaho State 9/11 Memorial. Jim set up a "Brick" program and patrons may order a custom engraved brick to line the Memorial in support of perpetual maintenance. I'll bet Jim wrote hundreds of letters and made hundreds of calls to raise support (mostly from his own pocket). 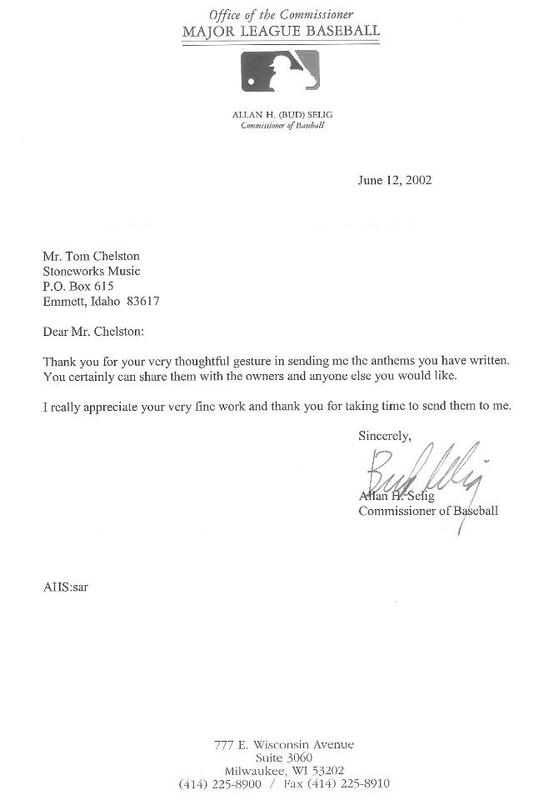 I wrote a few letters too and among the handful of responses was this letter from Bud Selig on behalf of MLB.